Mini on size, but not mini on features, the Starcraft Comet Mini travel trailer is a great option for individuals, couples, and small families looking to get out and explore the great outdoors. With everything you need to feel right at home, without the added weight that comes with larger travel trailers, this RV is truly versatile and unique. Learn more in our Starcraft Comet Mini travel trailer review. 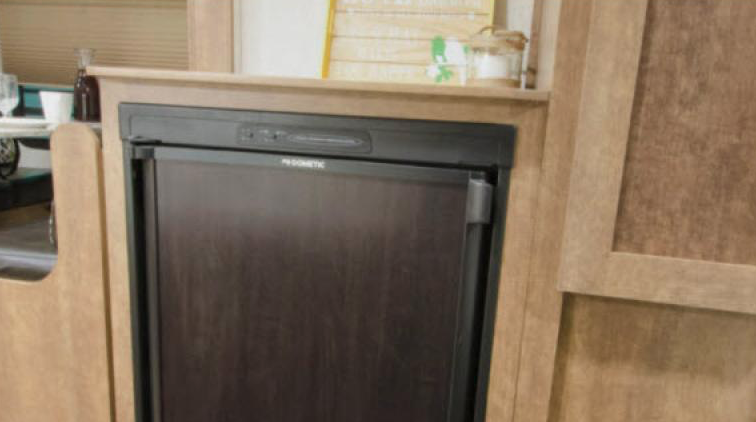 Whether you’re out and about for a weekend trip or headed on a longer trip to explore your entire state, you’ll love having a fully equipped kitchen at your fingertips. Wherever you go you’ll be able to cook delicious, healthy meals. Or, grab some local ingredients and cook up some local favorites in your very own kitchen. 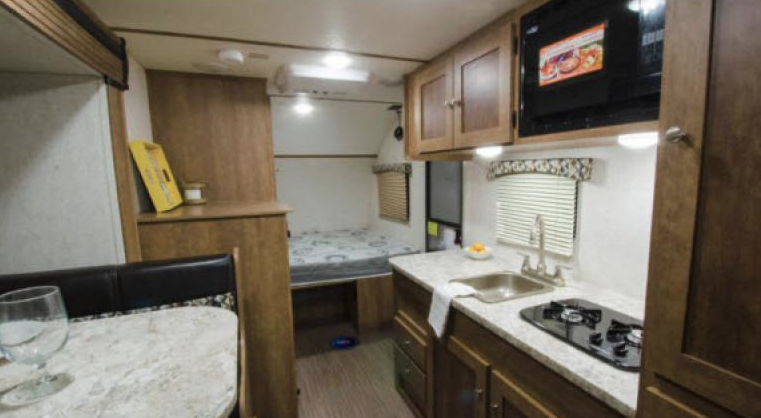 You’ll love how every Comet Mini floorplan effortlessly marries comfort and practicality. Your dining area functions as a living area as well and offers comfortable seating, a table to play games or enjoy meals at, and plenty of storage for items that promise to make your life a little easier. 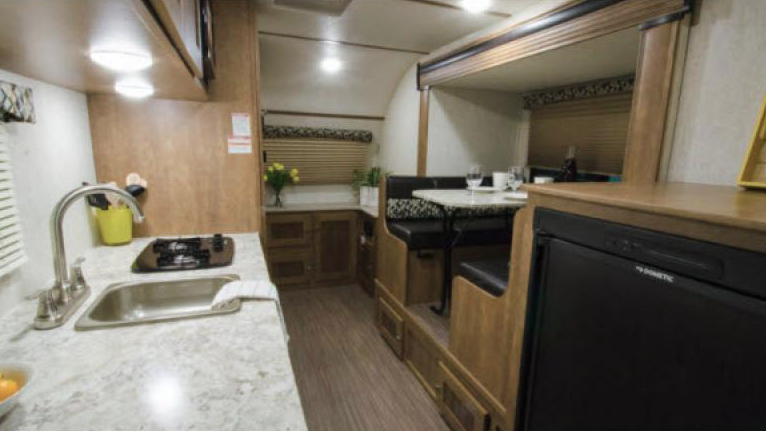 With a couple of attractive decor options to choose from, you’ll love how the Comet can meet not just practical needs, but also your own unique style. Choose the one that best matches your personality and enjoy every moment spent in this travel trailer. If you’re interested in learning more about our selection of Starcraft Comet Mini travel trailers for sale, contact us. We’ll answer any questions you have and make sure you’re equipped to make the best decision for your family. Additionally, we offer RV financing and can help you figure out the best way to make your dream of RVing come true.